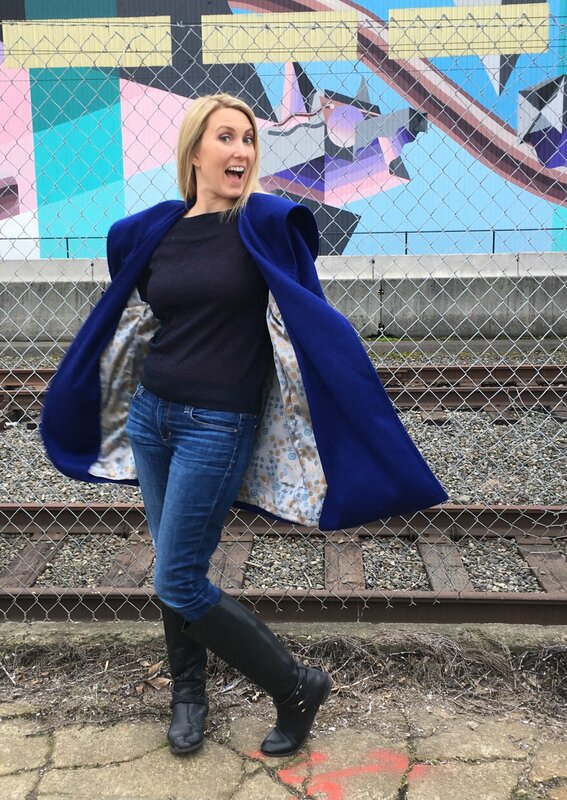 Make a Tacoma Raincoat, Tacoma Shawl Collar Blanket Coat or Tacoma Hooded Blanket Coat. Coat patterns will be sized individually for you. Yardage - 3 1/2 yards, buy more if you want it longer or have a repeating pattern. This is a breathable waterproof stretch raincoat fabric. Yardage Amount 3 1/2 yards or more if you have a large repeating pattern. 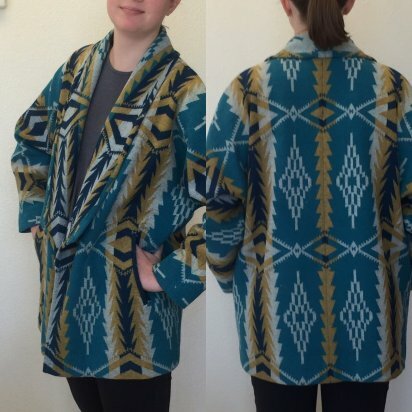 This is a double sided Pendleton Wool Coat. Tacoma Hooded Blanket coat. The Shawl collar is converted into a hood. Yardage amount 4 yards, more if you have a large repeating pattern or want to make it longer. 3 1/2 to 4 yards or more fabric, thread, notions.